The query letter is a valuable tool for writers, no matter what publishing path they choose to take. It’s needed to submit to agents and editors, and can be a solid foundation for creating cover copy for those planning to self publish. It’s even a handy letter to write before you write the novel, to make sure you have the right pieces in place. What makes a query letter so hard to write is boiling down an entire novel into a few paragraphs. Take a tip from the news and use the journalistic approach to pinpoint exactly what you want to say. WHO is the book about? This is your protagonist. It can be a single person, or a group of people if it's an ensemble cast. Also think about the reason you chose this person to be the protagonist. For example: Bob, a man caught in a love triangle during the zombie apocalypse, or five guys from Jersey who all need a lot of cash fast. WHAT problem do they face? This is the core conflict of your novel. This will be an external problem, so no character arcs here. If the novel is more character driven, then what externally is going to bring about this internal change? For example: Bob needs to survive the zombie apocalypse and win the love of his life, or Lisa needs to get a part-time job on the sly to make enough money to leave her abusive husband. WHERE does this story take place? This is your setting, but it’s also any additional world information vital to your story. For example: A post-apocalyptic Buffalo, the Kingdom of Gizat, or a world where people can shift pain. WHEN does this story take place? This is the time frame of the novel. Since stories often happen during an important event in the world (or the character's life), don't just think chronologically here. It could be during a major historical event, a critical turning point of a journey, or a specific time of year. The thing to remember here is to look for a when that bears on the story. For example: Just after the zombies arose from the dead, the month the US invaded Iraq, or the summer a girl turns sixteen. WHY does it matter? These are your stakes. The consequence of failure are important to a character in some way, and will have long lasting effects on someone or something if the protagonist fails. For example: Because Bob will die and never tell Jane he loves her, because the princess will be sacrificed to the demon god, Zithnit and the world will be enslaved, or because if Lisa doesn't get past her son's death she'll spiral down into depression and kill herself. HOW does it end? This is your resolution, and often the big problem standing in the way of the protagonist. What does the protagonist have to do to win? For example: Defeat the zombies and confess his love to Jane, or start volunteering at a children's center and remember that life is worth living after all, or take a self defense class and kick the abusive bum out of the house. Now, answer these questions for your own novel. One sentence is usually enough (and the shorter it is, the more likely it nails the key element you need), but go ahead and write as much as you need. If you find yourself writing more than a few lines though, that’s a red flag you haven’t quite pinpointed what that important detail is yet. WHO is the book about? Five teens with various views on starting a colony with their parents. WHAT problem do they face? Five teens must catch a killer and find a way to survive after an extremist sabotages their colony ship and it explodes in orbit around their new planet. WHERE does this story take place? On Tellus, a new colony world. WHEN does this story take place? In the week that follows an extremist attack that leaves most of the colonists dead, and the rest stranded on an alien planet. WHY does it matter? Because if they don't catch the bad guy and find a way to survive, they all die. HOW does it end? They band together, using the skills they learned from their families, and the few supplies that made it to the planet to catch the extremist and build a makeshift colony until the resupply ship arrives in five years. Next comes the fun part. Take these six sentences, and put them into a basic paragraph. If you’re unsure where to start, try using this template as a jumping off point. [WHO] has to [WHAT] on [WHERE] during [WHEN] because if they don't [HOW], [WHY] will happen. While this is all one sentence, your starter query probably won't be. The template is just the general flow of how the query goes. You might be able to take your sentences verbatim and plop them into this template, or you might need to adjust the order, so feel free to add any information required to give it that query feel. Get all the details in, but don't worry about how they sound just yet. It's probably going to be ugly, and sound cheesy and that’s okay at this stage. 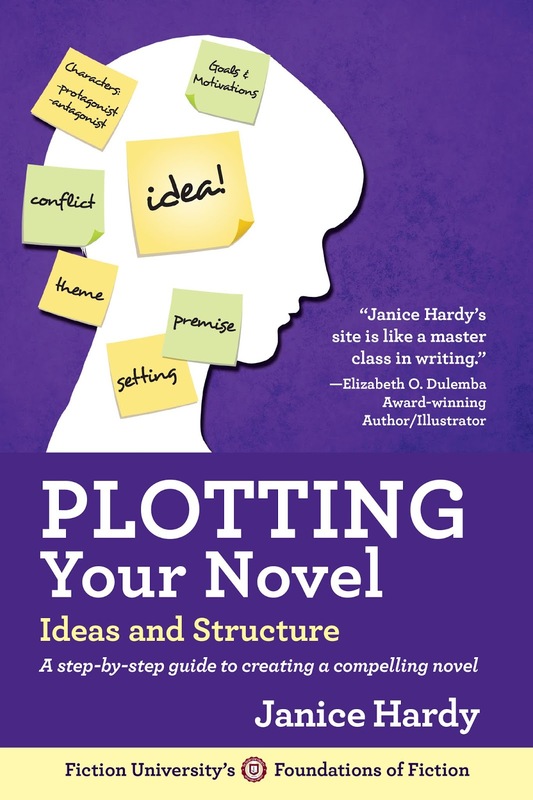 The goal is to end up with something that sounds queryish and captures the key details of your novel so you can turn them into something that hooks whomever reads it. Five teens with various views on starting a colony must find a way to survive after their colony ship explodes in orbit around Tellus, their new planet. After discovering that a religious extremist is responsible for the attack that left most of the colonists dead, and the rest stranded on an alien planet, the teens band together to catch him. But he's not their only problem. The resupply ship isn't due to arrive for five years, and in order to survive alone on the planet, they must use the skills they learned from their families and the few supplies that made it to the planet, to build a makeshift colony on their own. Ta-dah! Clearly this is a rough paragraph that won't get anyone's attention, but it's a good start for something I can polish. I know who my protagonists are, I know what their problem is, I know who the antagonist is, I know where it takes place, and I know why all this matters. The basics of my query are here, and now I can focus on revising it. Do you have trouble with query letters? What aspect do you struggle with? Hmmm... I liked your quick summary but I have to ask about mentioning the five teens so generically. Every query advice page I've read says to focus on the MC and the overall problem from their POV. Even if you have multiple MCs and multiple POVs throughout the book, I thought you were supposed to focus on the main MC. In almost all cases you do want to focus on one or two people, but some books have multiple protags and you need to say and show that in your query. (I think immediately of Sara Shepherd's "Pretty Little Liars" series.) It's a lot harder to write a good query for those types of stories, but it can be done. As we go through this exercise, I'll end up changing "five teens" to something else, and hopefully show all the reasons why and how, but this first step is to just get the basic info in. I'll probably wait until later this week to post mine, since it's finished and out on the query-go-round. My latest WIP is in too early of a stage for me to start writing the query, I think. Sam Davis, a fifteen-year who finds a mysterious map in his mother’s old suitcase decides to follow it and is catapulted into a magical world he and his friends soon learn is dying along with its Emporer who live in Caylestis, a magical world only accessible through a vortex. Sam recently lost his mother in a tragic accident and felt completely lost until he and his two friends set out to save the Emporer who is dying since Faras the flying horse was taken by Deimos. Only Sam is able to rescue Faras and he must do so secretly and quickly or he too will die. Michelle, very cool about our books! Though I do hope yours has a much better run than mine did. :) I doubt it'll ever go anywhere, but that's not the fault of the religious extremist. Thank you so much for this post. I'm still in the middle of writing/revising for my novel projects, but I've wanted to at least get some query drafts prepared, so when I'm finally done with the novel, I don't have to worry about the query (or, I hope, the synopses). I'm a big fan of unreliable narrators, so it's hard to figure out what to focus on. This just helped me draft a query paragraph for a WiP that was making me wince to even consider summing up like that. Admittedly, your paragraph template itself didn't work, but trying to use it helped me flesh out what I needed to cover. That's great that it helped. Not everything I suggest will work for everyone, but I always hope it helps in some way -- even if it's just some bits and pieces. I haven't even thought about the query letter yet. Truth is, I haven't had a clue as to how to write a decent one. Thank you for this lesson. Much appreciated. Glad I could help. And no worries if you're not at this stage yet--if your focus is more on the writing and honing your skills, then don't worry about queries until you're ready to start submitting.